Holy Week, the most solemn week of the entire year in the Catholic Church, will begin with Palm Sunday of the Passion of the Lord on April 14. The week will include a visit from Bishop Robert P. Deeley to Fort Kent. PORTLAND, Maine — Holy Week, the most solemn week of the entire year in the Catholic Church, will begin with Palm Sunday of the Passion of the Lord on April 14. The week will include a visit from Bishop Robert P. Deeley to Fort Kent for the Mass of the Oils on April 17. Holy Week is the final week of Lent. On Tuesday, April 16, Bishop Robert P. Deeley will celebrate the annual Chrism Mass, one of the most solemn liturgies of the Catholic Church, in Portland. At the Chrism Mass, in the presence of priests, deacons, religious and laity from throughout the diocese, Bishop Deeley will bless the oil of the sick and the oil of the catechumens, and he will consecrate the sacred Chrism. The celebration will move north to The County on Wednesday, April 17, at 6:30 p.m., when the bishop will celebrate the Mass of the Oils at St. Louis Church in Fort Kent. The Mass of the Oils includes the distribution of the blessed and consecrated oils to parishes located in northern Maine. It also offers the opportunity for the priests who gather to renew their promises as well. Bishop Deeley celebrates this Mass with the deacons, religious, and lay faithful from that area. Lent culminates with the Sacred Triduum, during which Catholics commemorate the Lord’s Supper on Holy Thursday, the Passion and Death of Christ on Good Friday, and the Resurrection on Easter Sunday. The Sacred Triduum celebrates the forgiveness of sins for all humanity and the gift of everlasting life to all who believe in Him. 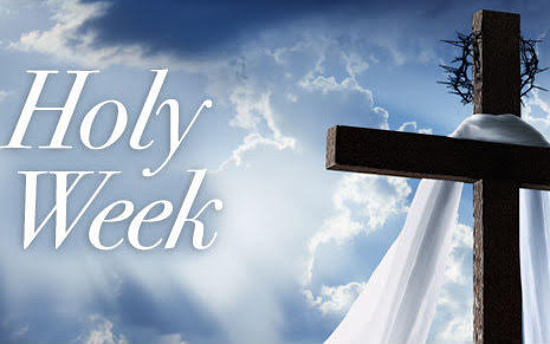 A special Holy Week section is available on the Diocese of Portland website that includes Mass times at all Maine parishes, listings of parish events, daily prayers and reflections, and many other resources. The section can be found at www.portlanddiocese.org/Holy-Week-2019.